Why aren't people able to walk in the abundant life of John 10:10? Apparently abundant life is not a blessing given, but a life that is lived in reality! You can't live anyway you want to or do anything you feel like and expect God to pour out his blessing on you. If you want to see the power of God's blessing in your life, you need to first of all, live in alignment with God's word and move in alignment with God's word. Your life should be aligned to God's standards and measures! When our priority is to reflect God's image in our lives, He will take care of us, for where God guides, He provides. Unfortunately, a lot of us are defeated in our Christian walk and thus unable to walk in the blessings because we buy into what the devil has been selling us. We tend to believe what the devil is showing us than what God is showing us in his WORD. You know what? You need to be reminded that your mind is the battle ground. The enemy will do everything he can to infiltrate it, so long as he can keep you from getting into your victory and blessing. He will keep fighting your faith because that's his only strategy and weapon against the children of God. Therefore, do not dwell, neither accommodate thoughts nor ideas or solutions that are not in line with God's word. Start trusting God today! He is a faithful God who will never fail you nor forsake you. Who do you think brought you this far? Listen! Godly living is profitable. Godliness is profitable in every area of your life no matter what it is. Remember God told Abraham, if you will obey me, I will not only empower you to prosper but through your prosperity, I will make you a blessing to the nations of the world. 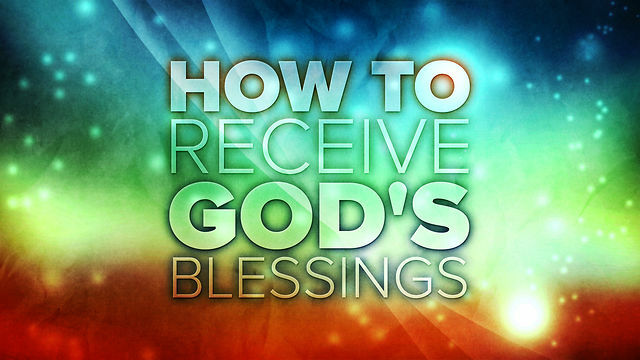 It is God's will to prosper and bless your well-being as you live in this world. God did not intent for you to live in poverty. But you know what? Some people have a very strange kind of understanding when it comes to aligning themselves to God's ways. They dictate the terms and trade with God without realising that God is the one that holds every moment in his hands. They put themselves first and give the leftovers to God. What can you say of such people? The key is to delight yourself in the Lord and he will give you the desires of your heart (Psalm 37:4). 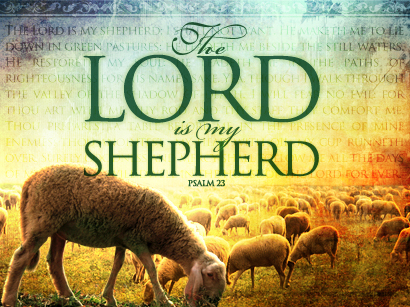 David said, "The Lord is my Shepherd I shall not want (Psalm 23:3)." When you delight in God's ways, you will be like a tree planted along the streams of water with God's eye watching over you and guiding every step that you take (Psalm 1:3). God clearly promises that when we seek him and put him first in our lives, he promises to take care of all our needs beyond what we can ever comprehend. In short, he is saying, "Why are you wasting your time trying to drive your life? You are not in the driver’s seat. I am and I am in control of your needs. That area belongs to me. And I know how to provide for you." But until you totally shift and put your trust on him, he can never start working in your life. No man will ever be a loser when he puts God first in his life. Just when I thought I'm wasting so much of my time in church..A good read Pastor.